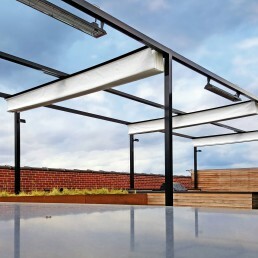 Retractable solutions for every project regardless of size or complexity. 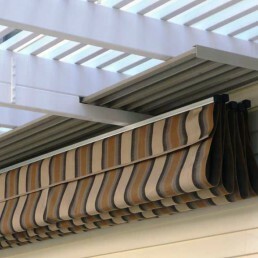 Products that offer complete privacy and protection from the elements. Sun and rain protection when you need it. The option of open sky when you don't. Unrelenting protection from the rain enabled by our revolutionary 'Single Track' design. Don't let the success of your next outdoor event hinge on perfect weather. 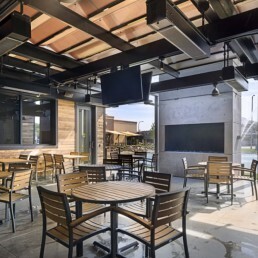 Turnkey solutions complete with structures, retractable canopies, and outdoor accessories. Retractable solutions that offer unlimited coverage, customization, deployment and protection. ShadeFX adapts to new or existing overhead structures regardless of size or complexity.